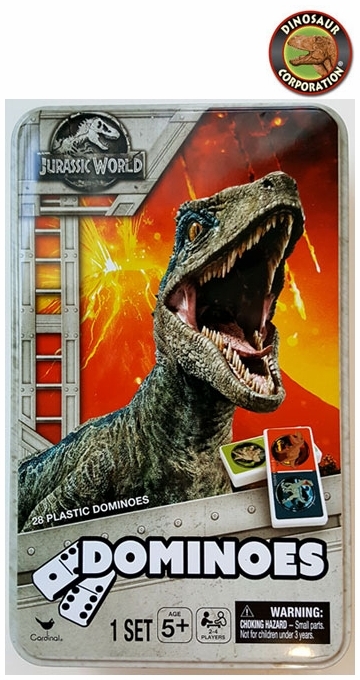 Jurassic World Educational Dominoes Game. Dinosaur game is designed for boys, girls, teens and adults loving everything prehistoric. * Packed in an attractive metal case.